Online gambling has completely changed the way people used to gamble. Gone are the days when you had to dress up and go to a casino to play your favourite games. The internet has brought gambling to your homes through online casinos and live internet betting. Ever since the establishment of the first online casino, this industry has only recorded a positive growth in terms of money and popularity. The man’s love for gambling is nothing new. Even though it is considered an immoral activity by many people, gambling is still one of the most favourite fun activities of people around the world. The internet has only made it easier for these people to fulfil their gambling desires. The phrase online gambling normally refers to the games of poker, sports betting and casinos. Antigua and Barbuda was the country which started the internet gambling revolution when it passed the Free Trade & Processing Act in 1994, allowing eligible companies and entrepreneurs to apply for licenses to start their own online casinos. However, the exact date when the first casino was started is still unknown. Even before the online casinos, Microgaming, a gambling software company, had already developed the first complete gambling software. The software security was handled by an online security company, CryptoLogic. Some sources claim that the first online casino was started in 1995 and had only 18 games. The actual progress of the online gambling was not seen until late 1997. By then, there were more than 200 online casinos and gaming websites providers services to the users. Poker was one of the games that became instantly famous in the world of online gambling. The popular card game Texas hold ’em was introduced in 1998 by Planet Poker. The industry was rapidly growing after that, but the man surge in traffic was witnessed in 2003 when a man managed to qualify online in the World Series of Poker and actually won the contest. Many online poker companies emerged in the coming years and kept the players entertained. Then, on Black Friday 2011, the US government officially prohibited major online poker companies from providing their services to US citizens. 11 online poker executives, including some big names like Poker Stars and Absolute Poker, were indicated. However, it was the year 1999 when the Internet Gambling Prohibition Act was first introduced by the US government but it did not pass. Few major online poker sites still offer gambling services to players in America. The sports sector has always been a popular industry for betting purposes. The internet has further contributed in the growth of sports betting. Many existing sports sites took advantage of this growing market and started online gambling services for their users. InterTops was the first company to start an online sports casino in 1996. Its success motivated other players to dive into this field of huge money potential. According to a report, the online sports betting industry made over $4 billion in revenue in 2005 alone. Even after being considered an illegal profession in the US and many other countries, online sports betting keeps growing immensely every year. In 1999, multiplayer online gaming was introduced for the first time, which immediately caught the user attention because of the facility of chatting and gaming with other users online. 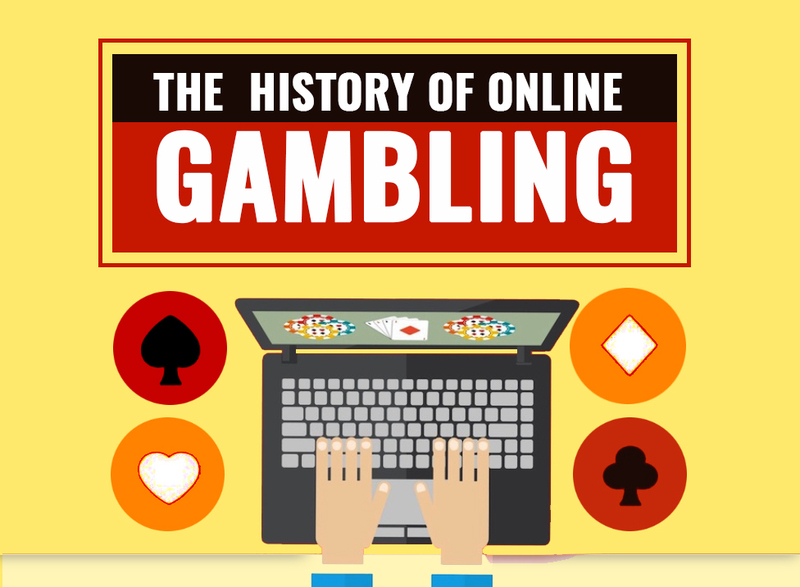 In 2001 alone, around 8 million people were engaged in some kind of online gambling. In 2002, the gambling industry was worth $4.5 billion. In 2003, the US government warned the National Association of Broadcasting and other major media companies that it could be illegal to accept and broadcast online gambling ads, as a result, the Sporting News, in 2006, was fined $7.2 million for still showing internet gambling ads. The UK legalized online gambling in 2007 by forming the Gambling Act and rules. By 2008, the global revenue of the online gambling industry rose to a whopping $21 billion. The H2 Gambling Capital report released in 2010 revealed a 12.5% yoy growth in the industry. On average, the players were spending 10% more time in online gambling. Bitcoins, which were launched in 2009, made their way to the online gaming in 2014, giving online casinos more options to grow. Mega Moolah, the popular online jackpot slot by Microgaming, recorded the highest ever win of 17.9 million euros in 2015. Statista, a market research company, claims that the online gambling market has reached close to $50 billion dollars by 2016 and is estimated to grow to $56 billion by 2017. As I mentioned earlier, internet gaming is still not legal in many countries. Many state senators in the US are actively in support to this industry and keep trying to legalize online gambling in their states. As it is well known that the gambling industry is a huge source of revenue for the government, many small countries have allowed online casinos to provide their betting and poker services to interested people. Irrespective of the rules and legalization complications, the internet gambling industry continues to grow in many parts of the world. The evolution of technology and smartphone markets is expected to support this growth more in the coming years. Please fill in the following information and we will get back to you as soon as possible. Copyright @ 2018. Acebet99. All Rights Reserved .